We’re back! 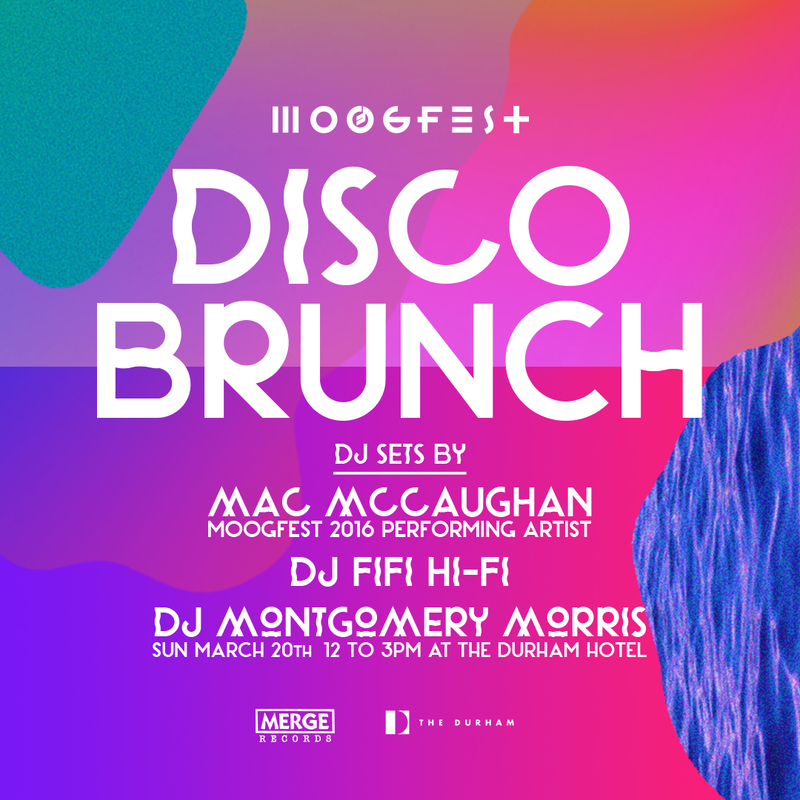 For our third installment of Moogfest Disco Brunch, we’re proud to partner with Durham’s own, locally grown record label, Merge. Featuring DJs: Mac McCaughan (Moogfest 2016 performing artist), DJ Fifi Hi-Fi, and DJ Montgomery Morris. We will be ready to party as always with Tropical Punch Bowls for the table. And of course, there’s always the classic Mimosa or Bloody Mary. Dining reservations are strongly encouraged due to limited seating, but there’s plenty of space to grab a drink at the bar and boogie in the lounge or on the terrace. For brunch reservations call 919.768.8831. A limited quantity of $99 Moogfest Student Tickets will be available for purchase in-person with a valid Student I.D. starting at 12 pm. No reservation is needed to purchase tickets. We’re very excited to announce that Disco Brunch will continue the 3rd Sunday of every month through May! Dates are as follows: April 17, May 22 (Moogfest weekend).